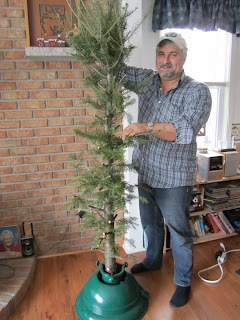 My friend Cliff McGrath put his Christmas tree on a post-Christmas diet. It's losing weight rapidly as you can see. Cliff, you should "branch" out and market this thing! Maybe it'll work for humans too!